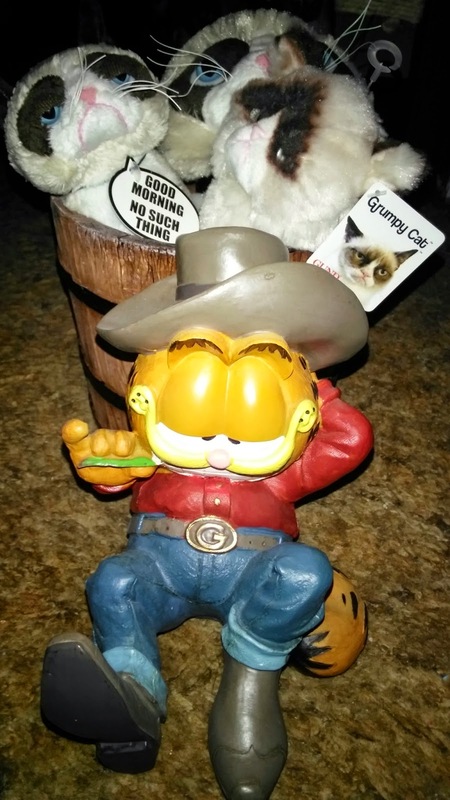 What a cute Garfield planter with the Grumpy Cat stuffies. Your Mommy did a great job picking out the planter. Very cute! We know you were the one really in charge of any roundups, Truffles. Love the Garfield! So cute! That's a super cute planter! We love Garfield. The cat's expressions are so priceless. that is so cute! Reminds me of the Halloween blog post I did where Cody was wearing a cowboy hat! It does look like he is quite proud of himself! Adorable. What a great find. Looks like he's keeping Grumpy in line. 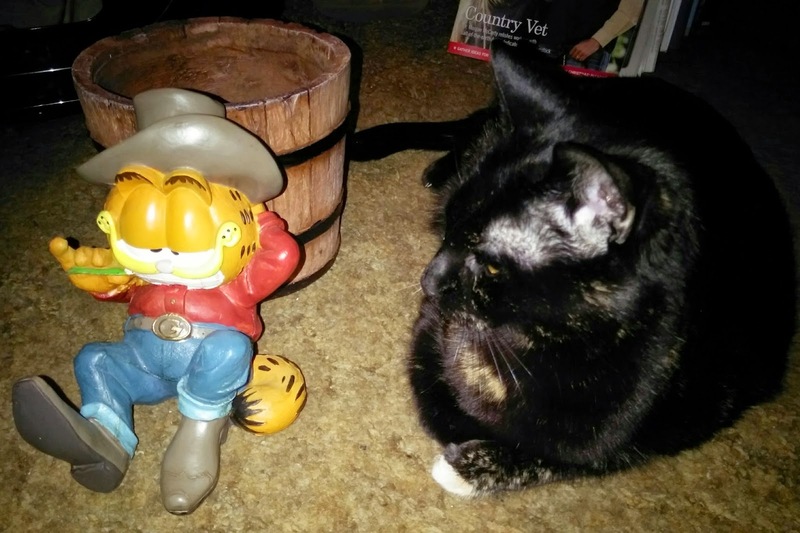 Nice Garfield planter, perfect to grow Grumpy Cats. That Garfield is so so cute! Your Mom did good Truffles. TW used to collect stuff like that back when she was young, carefree and employed. She should try to grow some nip in that planter. I am SO jealous, Truffles!! That is a great Garfield, my hero! 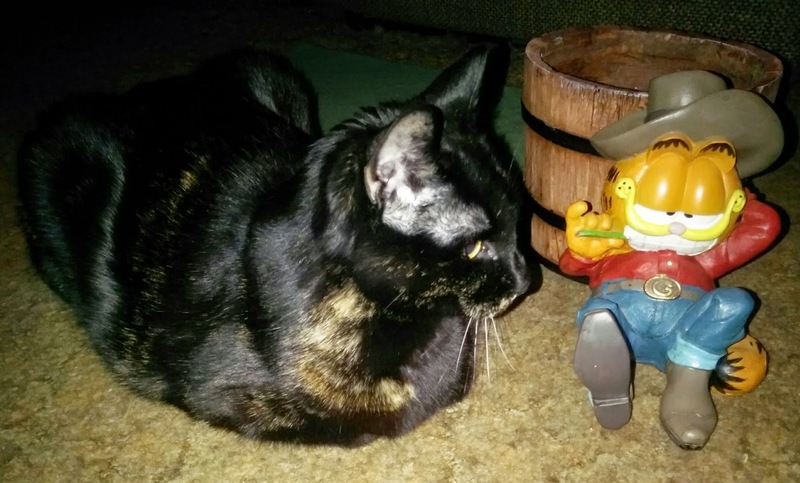 I have a black thumb, too - so I think a crew of Grumpy Cats is perfect for the Garfie!! Who knew you could grow your own Grumpycats!!! !